This feature article originally appeared in the December 2018 magazine edition of Australian Aviation. 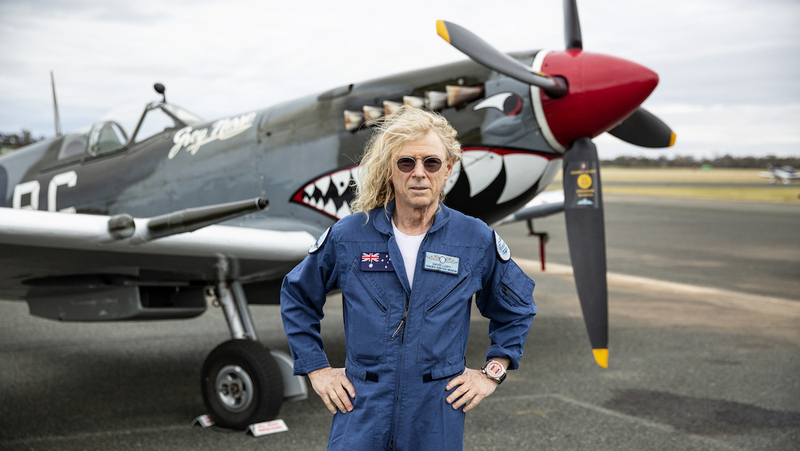 Hard rocker, Spitfire pilot, aerobatic champion, aviation museum benefactor, businessman and philanthropist, David Lowy is a pilot with a difference. Part of the entrepreneurial Lowy family – his father Frank founded the Westfield Group – he has led a life less ordinary. A successful business career sees Lowy in charge of the Lowy Family Group, the family’s private investment company. But he is also a former Australian aerobatic champion and Spitfire display pilot, the founder and primary benefactor of the much-loved Temora Aviation Museum (which in mid-October hosted its semi-regular Warbirds Downunder Airshow), flies his own Gulfstream G550 business jet, and is the founder and a guitarist in the heavy rock band The Dead Daisies. Australian Aviation recently spoke with David Lowy in his Sydney office to discuss his love of flying, how he came to found the Temora museum, and the similarities and differences between music, business and flying. AA: What sparked your love of flying? DL: I had wanted to fly since the age of five. When I was a little boy we lived in Dover Heights, in the eastern suburbs of Sydney, on a very steep hill. When I’d just started school my mother bought me this little balsa wood glider. From that minute on I just wanted to fly. I always wanted to be a pilot growing up. I wanted to join the Air Force once I got a little bit older. But I was pointed in a different direction, if you like. I studied, went to university. My father was keen for me to come into business. I was also keen to come into business. But the passion for flying never really left me. I didn’t start flying until I was 30. I got a ride in a British Aerospace Hawk, and after that ride I thought, that’s it. Nothing’s going to stop me from doing this now, and I’m going to get myself a jet fighter. AA: This was in the days when there weren’t many warbirds flying in Australia? When I was learning to fly at Bankstown I used to taxi past the Sydney Aerobatic Club and I thought, ‘Oh, I really want to do aerobatics, that’s like military-type flying’. So I went to Noel Kruse at the Sydney Aerobatic Club and he introduced me to Allan Hannah, who was a RAAF F/A-18 Hornet pilot. At the time he was flying Caribou, and he was a civilian instructor on the weekends. We struck up a friendship very quickly. So I coincided my annual holidays with Allan’s annual holidays, typically between Christmas and Australia Day. I’d organise for Allan to train me in aerobatics and formation flying. Every time I had a work vacation I got him to take a vacation. So I learned from a military instructor. He taught me how he was taught in the military, and that gave me a really good grounding. He was Australian advanced aerobatic champion at the time, even though he was still in the military. Unfortunately, he was killed in an accident. But by that time he had already taught me the rudimentary aerobatics and I was already doing competitions. I’m a very conservative pilot I think. Very risk averse, even though I did many years of competition in aerobatics and won the unlimited championship in 1998. And I’ve done, I guess, many hundreds of airshow displays. But you analyse the risk, and you take the best precautions you can. Having said that, I think I know 22 people who have been killed flying, and some of them very close to me. I think anybody who does this type of flying would have similar experiences. Talk to any of the military guys – I’m sure they’ve lost quite a few friends in all different circumstances. There but for the grace of God go I. No doubt about that. But whenever you lose a friend, or someone you know, it’s really, really hard. But we take risks for what we love to do, and do our best. AA: You’re well-known for being a one-time Australian aerobatic champion. DL: The last few years of doing competition, I really didn’t enjoy it. But I didn’t want to stop flying competitively until I’d won the unlimited championship. I flew unlimited, I think, for four years before I won. It was very competitive and there were very good pilots. And after I did it, I never flew another competition flight. AA: From there, how did you go from owning a few warbirds to founding the Temora Aviation Museum? DL: I had people come and have a look at them sometimes, and from that germ of an idea grew the museum. AA: So the birth and growth of the Museum was almost an organic process? DL: Totally organic. I’ve worked in a very large public enterprise, a global business, and you don’t really have a plan. Looking backwards you can say you had a plan. But you have a vision somewhere out there and you go for it, and you change course all the time as things come along. You work very hard, get very lucky. Anybody who’s very successful at anything and doesn’t admit they’re lucky is just fooling themselves. So we got very lucky. We had a very good business. We were in the right industry at the right time, and my dad had the right background; myself and my brothers, we worked collectively together and it worked for us. But it was never a grand plan, and neither was the museum a grand plan. AA: Does supporting the museum come from a sense of giving something back? DL: There’s a lot of that, definitely. It struck me when we rolled the Spitfire out of the hangar. 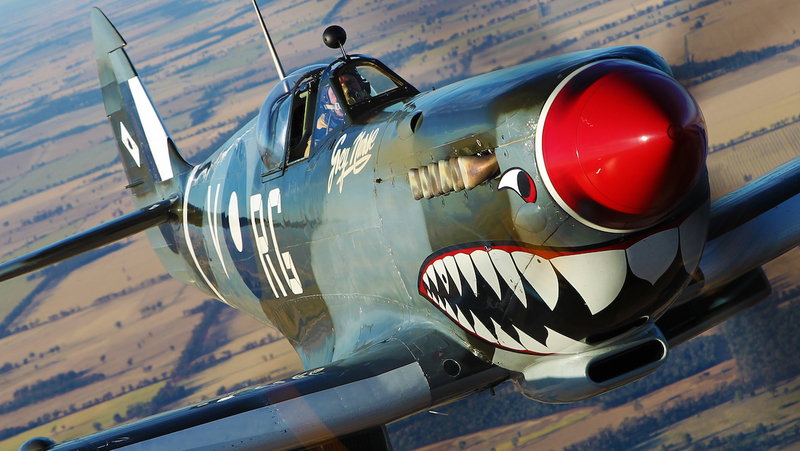 After I bought it from Col Pay, we repainted it in Bobby Gibbes’s colours, and had Bobby Gibbes come out to Temora with some of his mates, all Spitfire pilots. And I didn’t tell him what we’d done. We opened the hangar doors, pushed this thing out. They’re in tears. Bobby was in tears; Ted Sly was there with him in tears. I noticed the people who were around me at the museum were also very passionate about it, and they’re still there today. And the site for the museum is very historic. It was the largest RAAF World War II training field. So it was a confluence of ideas and events and people, and that’s how it became a tribute to veterans and serving members, and the history of the aircraft and the sacrifices that have been made, and for current and future generations to see. AA: What are the museum’s plans for the future? DL: We’ve now got an education program which we didn’t have before, where we bring schools to the museum. We do tours for all sorts of ages of kids. It’s quite difficult to do that at Temora because the beauty of Temora is its isolation. And the disadvantage of Temora is its isolation. So, you’ve got two things pulling at each other. Plus we’ve got one of the biggest repositories of digital video of veterans’ stories. There are hundreds of them. Every time a veteran comes to the museum we record their story. They’re like unsung heroes. So the remit of the museum has grown. Then there is putting on the Warbirds Downunder Airshow, which is a massive effort. The guys out there did an outstanding job. AA: Any plans for new aircraft? DL: I’m not sure whether we’ll acquire more aircraft. There are some very passionate people out there who are restoring aircraft. They can bring them out to the museum, and we can have ours on display, so you don’t necessarily have to own them to have access to them. It’s a very collaborative community. So we’ll continue to do what we do. It’s a real challenge. We’ve got an unbelievable engineering team there with, I think, one of the most complex aviation engineering operations in the world. You’ve got everything from wood and fabric through to World War II pistons, through to early model jets, through to later model jets. And we do it all with our dedicated small team. AA: It would seem from the outside its personnel are the museum’s greatest resource, not the aeroplanes or the location? DL: Without a doubt. The museum is all due to the passion of its people. We’ve achieved a lot there, but I certainly haven’t done it on my own and we all share the pride. It’s a shared thing, and I couldn’t have done it without all the people who have been around me along the way. AA: You sit on the museum’s governing committee, but do you have a hands-on role? DL: No, I don’t have a hands-on role at all. I’m president of the governing committee, and obviously the founder, but Murray Kear, the chief executive, he runs it on a day-to-day basis. Peter Harper is the general manager on site there, Andy Bishop is chief engineer. That’s the core of the team. From a board perspective, we’ve got policies and procedures in place to identify and assess the risks. Safety is the number one, two and three priority. That is it, and I’ve always had that culture there. And, touch wood, we’ve been incident-free. The museum has been in operation going on 18 years now. We do our best to mitigate the risks and we’ve got very good systems and procedures in place. We had a safety management system in place before we had to. We have an emergency response plan. We ran an emergency response simulation a week before the airshow with all emergency services, fire brigade, ambulance, there. It’s a board’s responsibility to make sure we’ve got all these policies and procedures in place, which we do. And then the oversight of the financial management is important, as is guiding the management strategy. But the operation’s run by those guys on the ground. AA: The museum was a multi-million dollar investment on your part. Can it be self-sustaining? DL: It’s not self-sustaining. No museum is self-sustaining. All museums need patrons. They’re not commercial enterprises. I funded this privately, and some income comes in through gate receipts and the shop, but it’s nowhere near the cost of operation. But I think of it as an investment, not as a cost. It’s an investment in the community. It’s an investment in our history. It’s an investment in our culture. 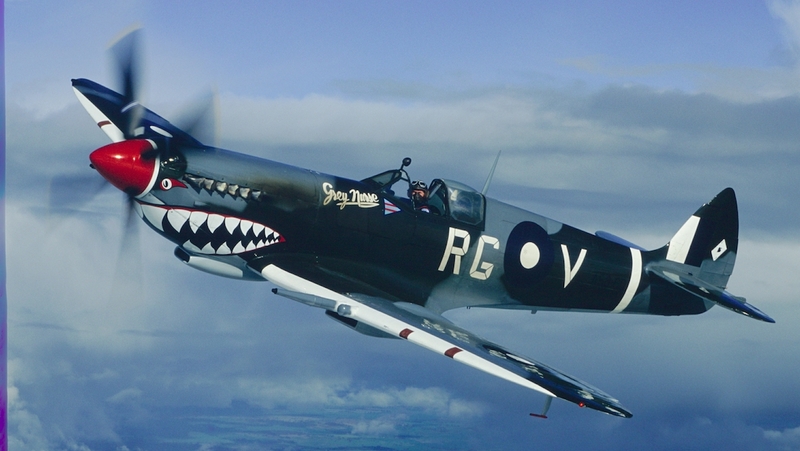 AA: World War 2 era aircraft like your Spitfires are now more than 70-years old. Philosophically, how long can you see them flying? DL: That’s a really good question. They’re both 1944 models, the ones we’ve got there, so that makes them 74 years old. They’ve obviously been rebuilt more than once and we check them. We do everything we can, but it’s a really good question. Often I’ve thought: are these things too valuable to fly, not in a dollar value, but in an historical sense? And then I think, no, let’s fly them. If the engineers are satisfied to sign them out, and the pilots are comfortable to fly them, we’ll fly them. It feels the right thing to do, and one day it might not. But right now, we’re comfortable to do it. We’ve assessed the risk. We know the risk. The engineers know the risk. The pilots know the risk. We know the risk at the museum, and life is not risk free. So, there may come a time, but I don’t see that now. AA: Would you say that you’re a risk averse person who realises that life is not risk free? DL: I see myself as a risk manager. ability to hire people, reinvest, hire more people – and that’s what makes the economy; makes the world go around. But at the same time, business is a risk. You calculate the risk. It doesn’t always come out how you think. So I see myself as a risk manager in everything that I do, and some things are riskier than others. You’ve got to weigh it up and decide whether to take those risks. AA: What does aviation teach you about music, and music about aviation? DL: By doing different things, that gives you quite a broad perspective. Music is totally in the moment. You just can’t think out of the moment. 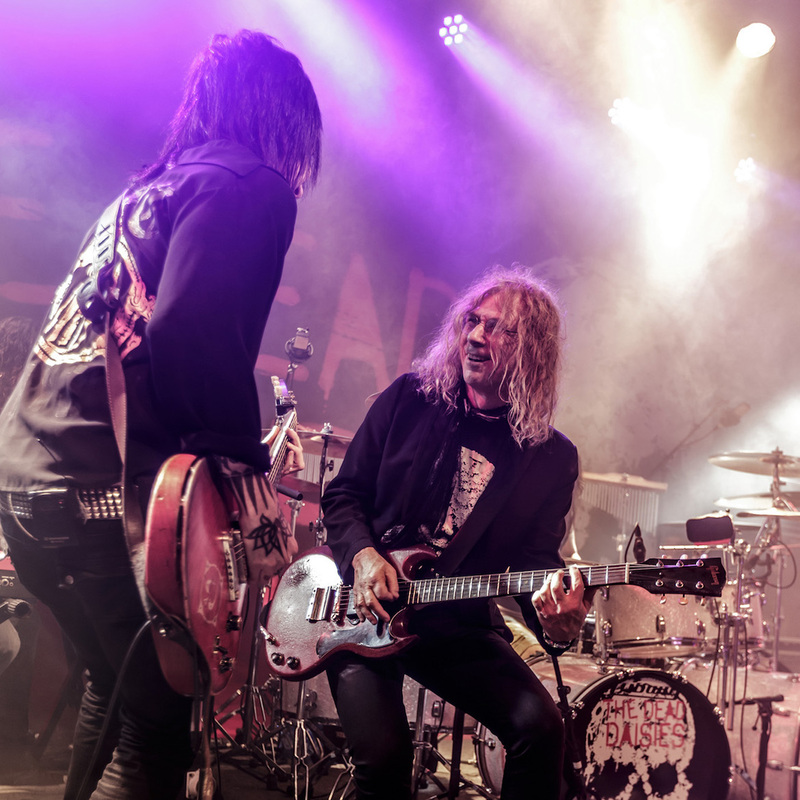 You think out of the moment, you’re going to be somewhere else other than your band. It’s just not going to sound right. It’s totally in the moment. In fact, you play a 100-minute show and you think it’s been 10 minutes. Whereas aviation, if you’re flying a business jet at eight miles a minute, your brain better be in the future, not where you are. And if you’re flying a display, the spatial awareness you’ve got to have – that 3D picture in your head of where everything is – it’s all where are you going to be in the next second or the next couple of seconds. Whereas music, I’m here now. You can’t think of anything else. AA: What does aviation teach you about business, and business about aviation? DL: There’s a lot of crossover in business and flying in terms of risk management. In fact, with my investment team, I’ve got them to do some of the online aviation courses that I take every month because they’re all about identifying and managing risks, and it’s the same thing in aviation. And I run checklists in my investment business. So there is quite a bit of crossover. What you learn in business are organisational skills. You can’t run a business without being organised, and you certainly need to be organised in the cockpit. And if you’re running an aviation operation, like the museum, or complex business jets, you need to be organised. And then you need to be able to hire and motivate the right people. So there’s a lot of crossover between business and aviation. AA: Are there many connections between music and aviation? DL: Music is a completely different field because it has a big creativity element to it. Not that aviation doesn’t involve some creativity as well – you might have to be creative. You have some emergency, such as those Qantas QF32 guys in the A380. Look at how creative they were. They did an outstanding job. There wasn’t a checklist for that emergency. They figured it out. So that takes creativity. But music is a very creative thing, and it’s a completely different process. If anything I’ve learned from my fellow musicians (it) is that you’ve got to leave more to chance in music and you can’t be so regimented. There’s gotta be improvisation. The last thing you want to do in an aerobatic display is improvise. But the last thing you want to do in a rock and roll show is be strictly disciplined. It doesn’t really work. AA: So flying and music don’t really mix? DL: I don’t fly and play music on the same day. 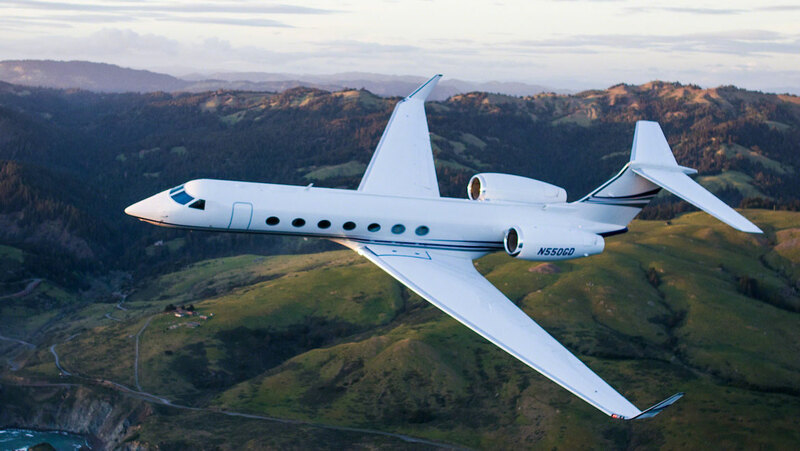 AA: And what’s the Gulfstream like to fly? DL: I love the 550. It’s a great aeroplane, it really is. It’s got enough new technology, but it’s still old technology. It’s not fly-by-wire, but it’s got a lot of good stuff in it. AA: It’s a more of a tactile aeroplane to fly? DL: It feels great. It is quite tactile. You are operating a very complex aircraft in a complex airspace system, so there’s not much hands-on flying and there’s a lot to think about. And I don’t do it every day. I would probably do 150, 170 hours a year, a lot of it long-haul. And I really love the challenge of it. I’d much rather be sitting in the front than as a passenger in the back. This article originally appeared in the Decemnber 2018 magazine edition of Australian Aviation. To read more stories like this, subscribe here. Highly recommend a visit to the aviation museum in Temora and if possible a visit to one of their air shows. Their Warbirds air show last year was spectacular and the best air show i have ever seen. I was with ex commercial pilots who flew their aircraft from Brisbane to stay with me in Leeton and we flew to Temora for the day. I knew Bobby Gibbs when I was working with Talair in PNG and had many a great night with him and Dennis Buchanan the owner and founder of Talair. Chat regularly to his daughter Julie. Temora Aviation Museum is absolutely inspirational – massive thanks to David Lowy for his generosity in funding it. More power to his plectrum as well!